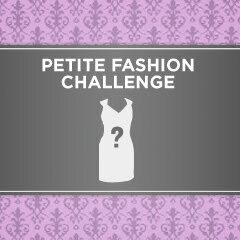 Petite Fashion Challenge #18: What to Wear to Impress your Date! I think this PFC will be a lot of fun for all of us, regardless of whether we’re single or in a relationship. The single ladies should be awesome at this. I’m excited to get some inspiration from you! For the taken ladies, we still need to dress up for date night (at least once in a while!!). Generally, I think we wear what makes us feel good, regardless of what other people think. But what is your secret for making your outfit a little more memorable?? Have fun with this one! Bonus points for pics taken with your dates or on a girls night out!! When I go out, I like to wear what makes me feel confident. I don’t want to feel uncomfortable and be fussing with my clothes when I certainly have other things to worry about, like say, not embarrassing myself?? Haha. If the weather allows and if appropriate for the venue, my outfit usually involves jeans. But given that all of my denim is now in storage until September, I have to go with something else. Many women like to go super flirty and girly for “date night” or girls night out, but that’s just not me. I prefer a look that is a bit more androgynous but with a touch of femininity–a little leg never hurts, right?? Check out the rest of the PFC looks here! Your outfit is super cool and really ‘you’. You have gorgeous legs… so make sense you wanna show your legs. Yes, you should! Ah, this is probably my fave date night look so far. Very polished and sophisticated. I like the pop of green! Love the look! Clean. Classy. I think the pumps adds just the right touch of femininity. haha, a little leg doesn’t hurt. these shorts look amazing on you, your legs look so long!! Wow–you look stunning! Those green shorts are great on you, and your legs look a mile long. So chic! I love this look! It’s perfectly styled, and your legs are gorgeous! Like I said on another blog, I would never have paired shorter shorts with heels, but like Phi Phi, you were able to make your look nice/lady-like/proper. I totally agree on the comfort part! Plus this outfit could easily go from work to play (well depends where you work of course!). I love the green shorts…I saw similar colour/style at Aritzia but too expensive..
Love the shorts! You look great and I think it is all about comfort! you know what? this outfit is you. it’s your style. you didn’t change too much just to impress a date; u still kept it genuine to your taste. and if he’s a leg man…well, then he’ll definitely try to stretch the date into dessert! i’m glad these shorts worked out for u. they’re really great on you! And so easy from day (work) to night out! I agree – be yourself for date night, whether that’s fem/flirty or menswear-inspired! Why are your jeans in storage? Are you moving? I was really surprised to scroll down the photo and see those shorts, but I do love the look! Business at the top, party at the bottom. Would’ve loved to see a pop of colour with the shoes, though. aah!! i love this look! those green shorts add a fantastic pop of color! Um yeah, legs don’t hurt – especially with your gams! Spinning agrees with you 🙂 Loving the sophisticated take on shorts here! This is a perfect night on the town outfit!